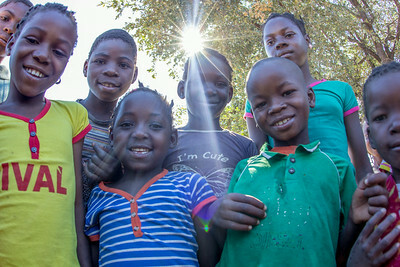 A group of students at Escola Primaria de Mafacitela pause for a group photo during a break from a Portuguese lesson. 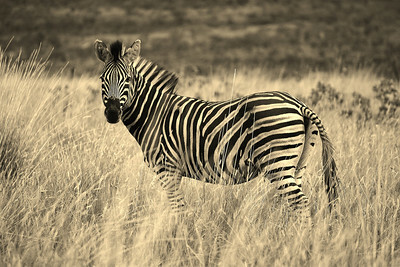 A Plains zebra (Equus quagga) in Welgevonden Game Reserve, Limpopo Province, South Africa. 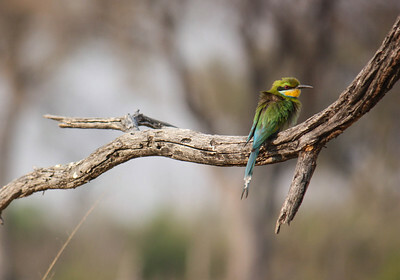 This Swallow-tailed bee-eater (Merops hirundineus) was found on a branch overhanging the Khwai River in the Okavongo Delta in Botswana. 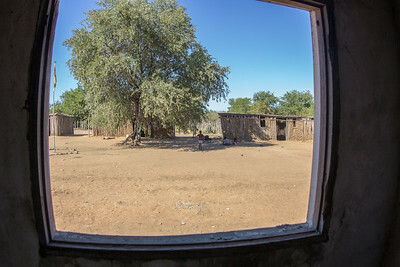 From the inside looking out; a newly renovated schoolhouse serves as an interesting vantage point to observe temporary classrooms made out of logs, mud, and tin. 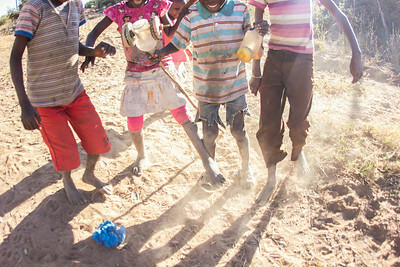 Local children from the village of Mafacitela play a game of soccer in the dust. A wad of plastic bags filled with sand is the only necessary gear. 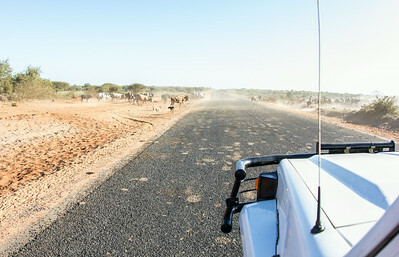 A road block in Gaza Province, Mozambique consists of cows, donkeys, and stray dogs. 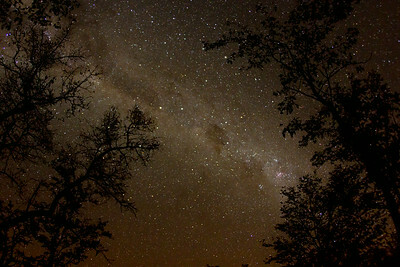 A star-studded night sky is guaranteed during the winter months in rural Gaza Province, Mozambique. 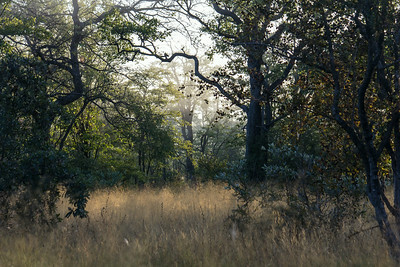 Sunrise at Búfalo Moçambique, a privately owned and operated wildlife reserve in Gaza Province, Mozambique, near Banhine National Park. 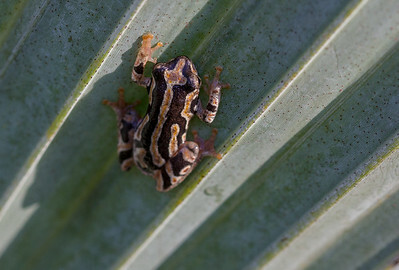 A Painted reed frog (Hyperolius marmoratus) clings to an ilala palm at Búfalo Moçambique in the waning hours of the late afternoon. 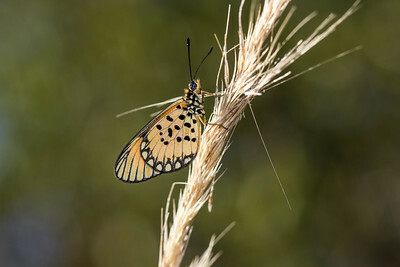 A butterfly, recently emerged from its chrysalis, dries its wings in the bright midday sun of rural Mozambique. 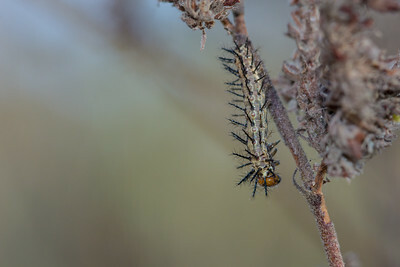 A particularly spiky caterpillar that I found on a morning walk in a remote corner of Gaza Province, Mozambique. 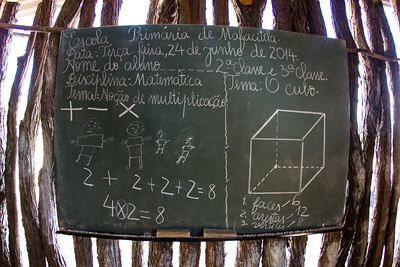 A mathematics lesson, in Portuguese, frozen in time at Escola Primaria de Mafacitela, a small primary school in rural Gaza Province, Mozambique. 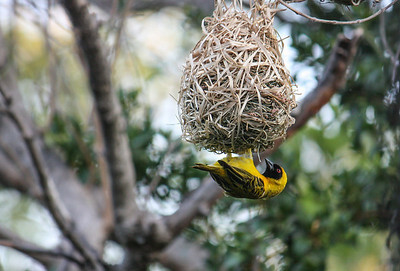 The Southern Masked Weaver or African Masked Weaver (Ploceus velatus) is a resident breeding bird species common throughout southern Africa. This individual was photographed in Limpopo Province, South Africa. 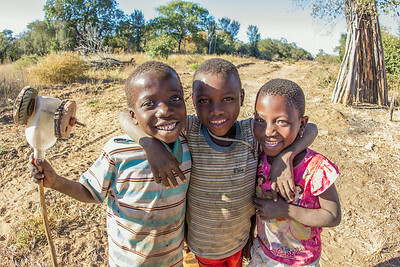 A trio of local children from a remote corner of Gaza Province, Mozambique aren't camera shy.